Over the past week, ActiveHistory.ca has run a couple of posts about the politics of naming and local commemoration. These essays reminded me of a debate that Paul Bennett and I had a couple of years ago over the merits of renaming schools as the Halifax school board decided that the name Cornwallis was no longer an appropriate moniker for an educational institute (it isn’t BTW). These posts also coincided with a lecture I give every year in the Canadian history survey course on the social gospel, moral reform and suffrage. In this lecture, I spend a few minutes discussing the life and impact of Adelaide Hunter Hoodless, a conservative maternal feminist who played an important role in organizing a number of prominent women’s organizations and more generally in Canadian education at the end of the nineteenth century. For me, lecturing on Adelaide Hoodless is deeply meaningful. Not only because Hoodless is a fascinating woman but – to be frank – mostly because this is the name of the elementary school I attended in Hamilton, Ontario. So when Kaleigh Bradley posted last Monday about the power of naming and renaming (and the importance of identifying, acknowledging and returning to Indigenous place names), I was reminded of my debate with Paul, where I made a similar argument: names can and should change, and that’s a good thing. In this context, though, and thinking about Adelaide Hoodless, it struck me just how important some settler place names are in determining how we situate ourselves in the world. And sometimes, as I hope to demonstrate at the end of this post, debates over renaming can lead to misguided government policies where naming practices are watered down for fear of controversy. The impact of the public school’s name on my thinking was a long time coming. Although I spent eight years at Adelaide Hoodless Public School – even visiting her birthplace on a sick day with my Dad – it was not until I started teaching the Canadian history survey course that I came to learn about who Hoodless was and the important ways that she both shaped, and was shaped by, Canadian society. It is quite likely that I would have skipped over her biography in my teaching if it weren’t for the fact that I attended a school named in her honour. But – after digging a little deeper – I’ve increasingly come to believe that Hoodless’s life is worth remembering and teaching. Addie Hunter, as she was known as a child, was born on 27 February 1858 in St. George, ON (not far from Brantford). 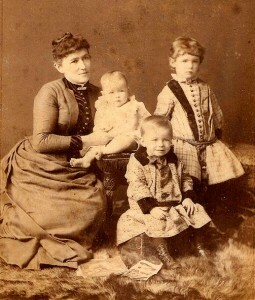 She entered public life in 1890 after her youngest son died from drinking unpasteurized milk. By mid-decade, and with little formal education, Hoodless had begun teaching domestic science in Hamilton and pushing for a broader adoption of scientific methods into women’s household tasks. An ardent Liberal, Hoodless’s cause was quickly embraced by the party (in government at the time) and quickly domestic science and “home economics” became an important movement in Ontario, culminating in the founding of the Macdonald Institute of Home Economics at the Ontario Agricultural College (now the University of Guelph) and Macdonald College at McGill. At the same time – and with a healthy fear of society’s moral decay from industrialization and urbanization – Hoodless became increasingly involved in the burgeoning women’s movement through the YWCA. 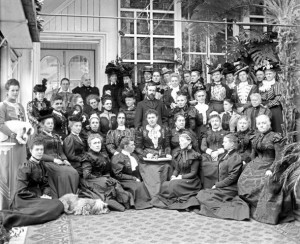 Dissatisfied that there were no national women’s organizations, Hoodless was on the ground floor as the founding treasurer of the National Council of Women – also serving at the local level in Hamilton’s chapter – as well as the nationalization of the YWCA and Victorian Order of Nurses. Similarly, while pushing for scientifically informed household practice, her suggestion that women develop structures to teach themselves this knowledge led to the creation of Women’s Institutes throughout the English-speaking world. All of these institutions continue to play a significant role in today’s society. Though highly influential in the founding of some of Canada’s most important feminist and social organizations, Hoodless was far from perfect by today’s standards and hardly a model for even early-twentieth-century feminism. Though a driving force for women’s education and the introduction of science into household tasks, she ardently adhered to a separate spheres philosophy that relegated women to domestic life. Similarly, she was opposed to women getting the vote. Home economics, she believed, was a tool through which women’s quest for the franchise could be assuaged. Further, as she increased in prominence, she was increasingly vulnerable to accusations that she was unqualified for the task set before her. In the opening years of the twentieth century, with her husband’s business failing, Hoodless soon lost influence. Within the decade she was dead and, in 1911, a public school in Hamilton was named in her honour. I tell you Hoodless’s story for two reasons: First, for those of us teaching Canadian history, it allows us to introduce important Canadian institutions and their founders while also illustrating the social and intellectual climate in Canada at the turn of the twentieth century. The women who poured their blood and sweat into building these institutions were not like you and I. In Hoodless we can see the foreignness of the past and the multiplicity of perspectives that existed as women (and some men) pushed for the vote. Second, and perhaps more to the point of this blog post, I’ve shared it with you because it demonstrates the power of a place name. The decision in 1911 to name my public school after Adelaide Hoodless has led to her inclusion in my teaching and now my writing. And this is a good thing. The politics of naming and renaming, however, have had uneven responses in terms of naming policies, sometimes leading to decisions that do more harm than good. In Wolfville, NS, where I lived for the past two years, town-naming policy has intentionally moved away from honouring individuals. 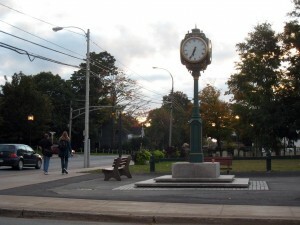 The issue came to a head a few years ago when a (relatively large) group of people in the community pushed (unsuccessfully) to have “the clock park” (named after a green clock in the park) renamed after Mona Parsons, a woman born in Wolfville who married a Dutchman and worked for the Dutch resistance in World War II. You can watch the Heritage Minute about Parsons here to learn more about her. Wolfville isn’t alone in making this type of decision about their parks. On the West Coast, Central Saanich seems to have a similar policy in place. But most municipalities have clearer criteria that reflect the importance of honouring individuals (though some policies treat individuals only in special circumstances). Ottawa, for example, has a fairly clear-cut policy and practice for naming municipal property. Many other cities (such as London, Kelowna and Sudbury) have taken similar directions. Now, as we’ve seen in other posts on this site, the stakes are high in the politics of naming. They shouldn’t be taken lightly. But a naming policy that excludes and diminishes the role of individuals is a mistake. Places that mark prominent figures in society matter. They tell us something broader about the places in which we live and they are reminders of people who played a role in shaping the nature of our social, cultural, political and economic lives. These people are not always the most important during their life times, but, for many of us, these names plant seeds that later bear fruit in terms of our own understanding about the past. 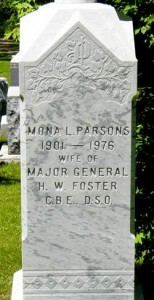 The only memorial to Parsons, her tomb stone. As Kaleigh’s post illustrates so well, whether accepted or rejected, place names and identity are deeply interwoven. In drawing our attention to two women of international influence, whose commemorations have been treated differently, I want to emphasize that many (probably most) place names in this country commemorate prominent men in Canadian society. 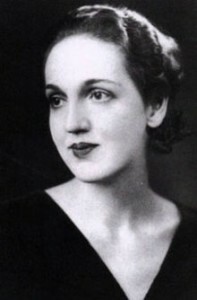 As time passes, I sometimes worry that women like Adelaide Hoodless or Mona Parsons will be forgotten. There are only a handful of places named after Adelaide Hoodless (three public schools in Ontario) and, though recognized in a heritage minute, the only monument to Parsons is her grave, the epitaph of which reads “wife.” This is not an idle fear either. In Hamilton, a hospital named after the city’s first female city councillor was renamed after local philanthropists who paid for substantial renovations. (You can read more about Nora Frances Henderson here). Additionally, one wonders whether the status of women in Canadian society would improve if more students had the opportunity to study at schools named after women like Adelaide Hoodless, or perhaps if we had the option to drink our coffee in parks commemorating the extraordinary life of women like Mona Parsons. Place names need to be chosen carefully. But we do society a disservice if we avoid the issue altogether for fear of controversy and upset. Thomas Peace is an assistant professor of Canadian history at Huron University College and editor at ActiveHistory.ca. Interesting article, however, it is not the case that “the Halifax school board decided that the name Cornwallis was no longer an appropriate moniker”. It was done after a long term sustained effort and lobbying to change it headed it by Elder Daniel Paul, author the most important book ever written about the history of Atlantic Canada and particularily Nova Scotia, We Were not the Savages.